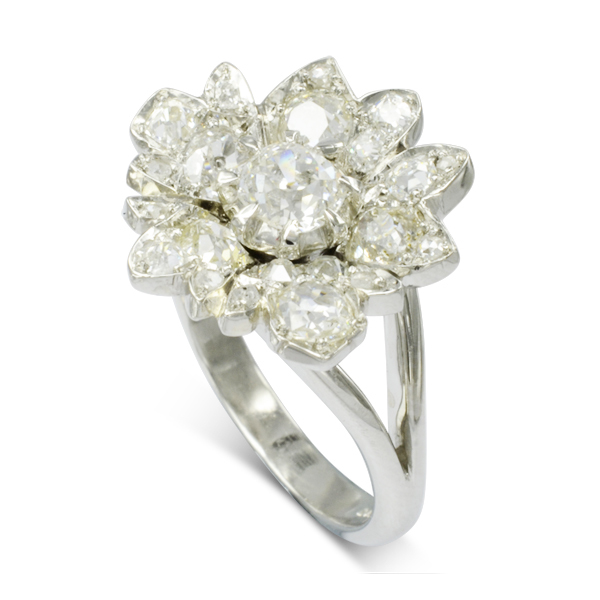 Our new Spring Wedding Engagement Rings collection is causing a A Riot of Colour in our Sussex jewellery store. 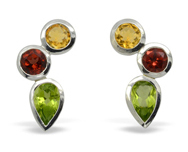 Vibrant green peridot the colour of new growth. 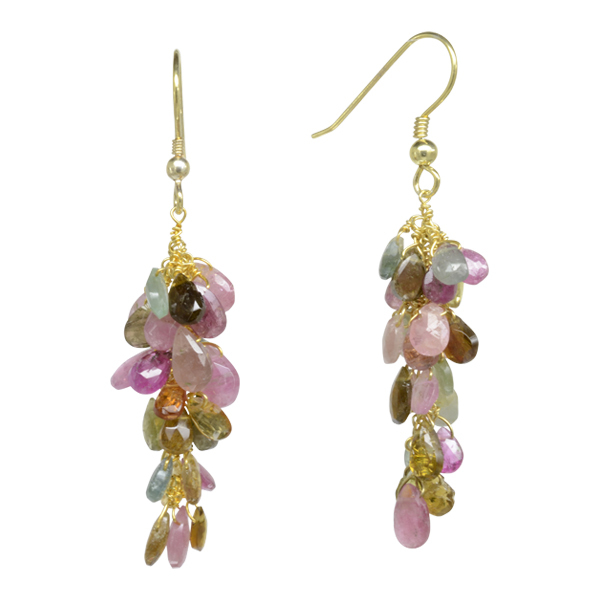 Subtle pinks, peaches and yellows of matt gold, the newly popular rose gold; unusual pinkish brown gemstones and diamonds like cherry blossom on a sunny crisp day. 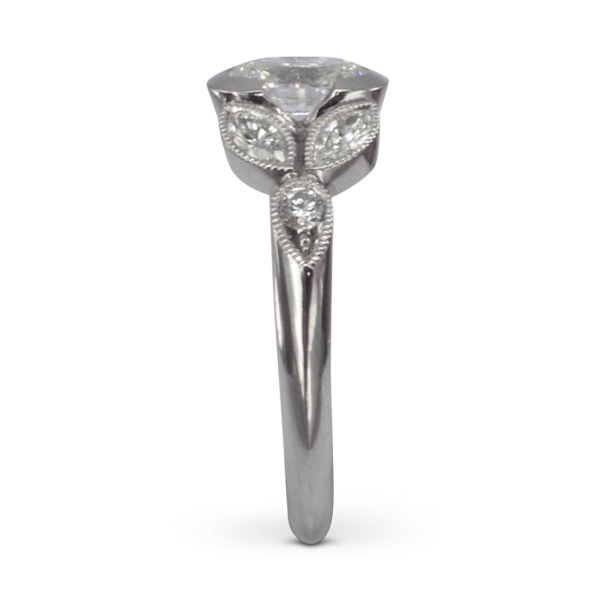 Floral designs and motifs, a tulip setting, a leafy vine wrapping around a ring shank or a clustered flower head of many diamonds. 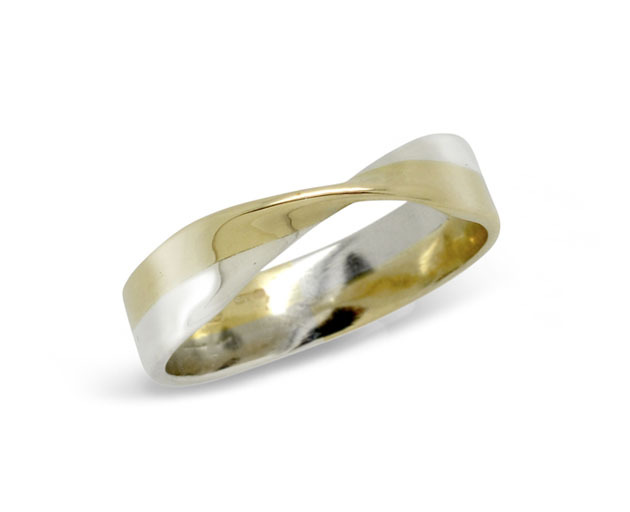 These organic originals are all on trend this season. 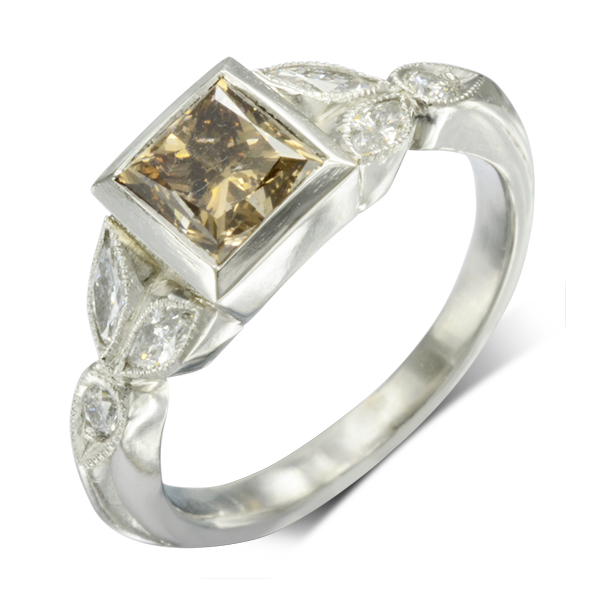 Here’s a preview of our collection of engagement rings that shows off this new modern vintage style. 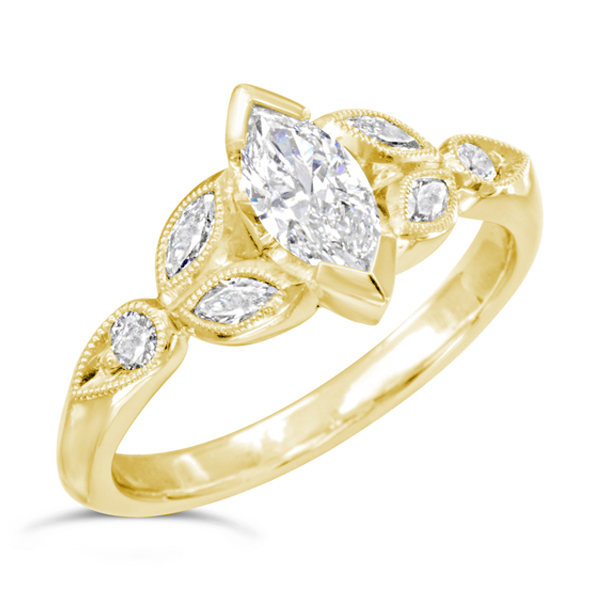 Three of the rings feature our new leaf motif ring shank where the setting edge is beaded to give that vintage look. 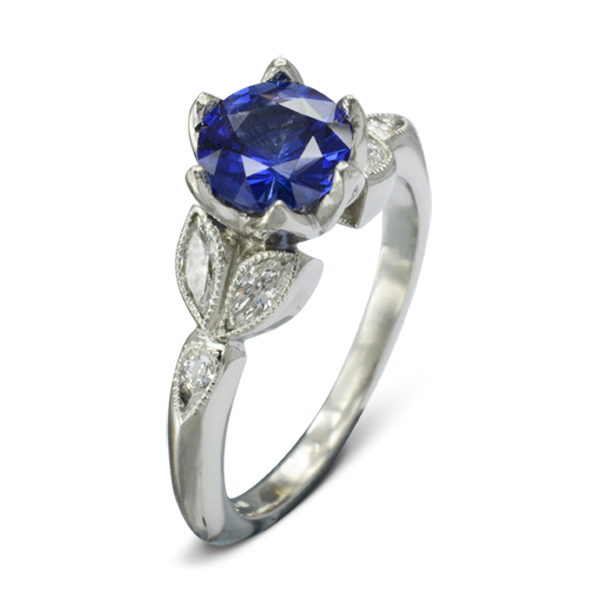 They feature various different setting styles: a tulip for a Ceylon Sapphire, very relevant to the tastes of it’s new Dutch owner; a flower cluster setting for some re-purposed mine cut diamonds recycled from a clients old collection of jewellery with a sentimental value; to a simple modern marquise or oval diamond. 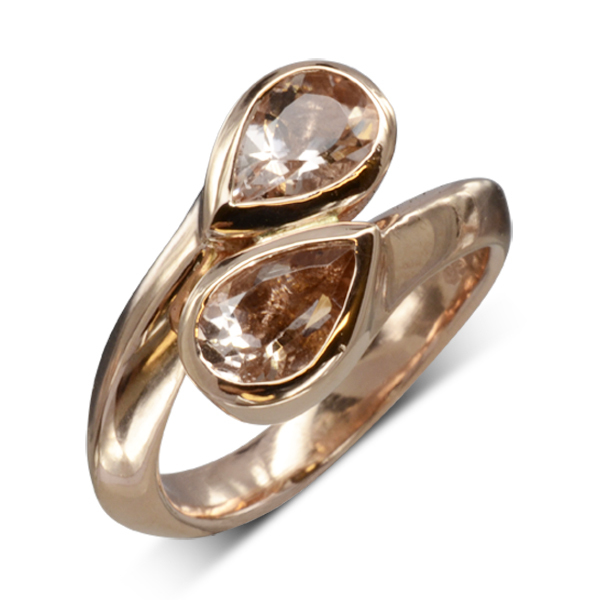 Softer colours such as these pieces in rose gold featuring champagne coloured diamonds and morganites. 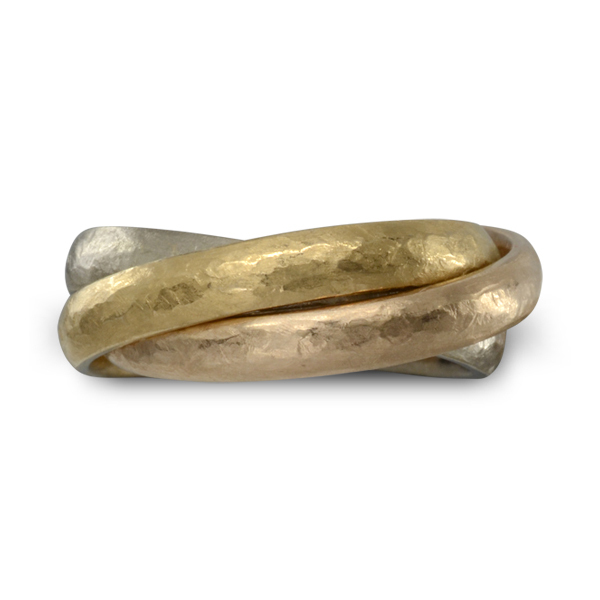 Inventive unusual wedding rings, hammered in two or three colours of gold. there are many different styles of hammering, we have over 100 in the workshop from highly polished to old and rusty, from ball shaped to flat. 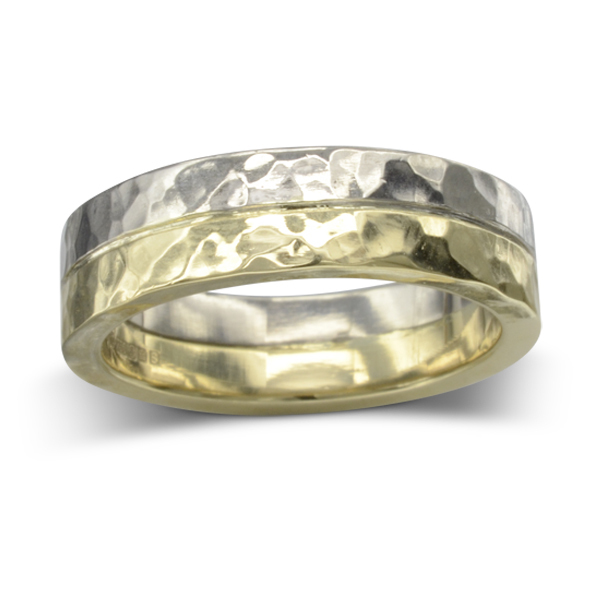 Can you guess what hammer gave the finish to each of these wedding bands? Come for a tour of our Ditchling workshops to find out! 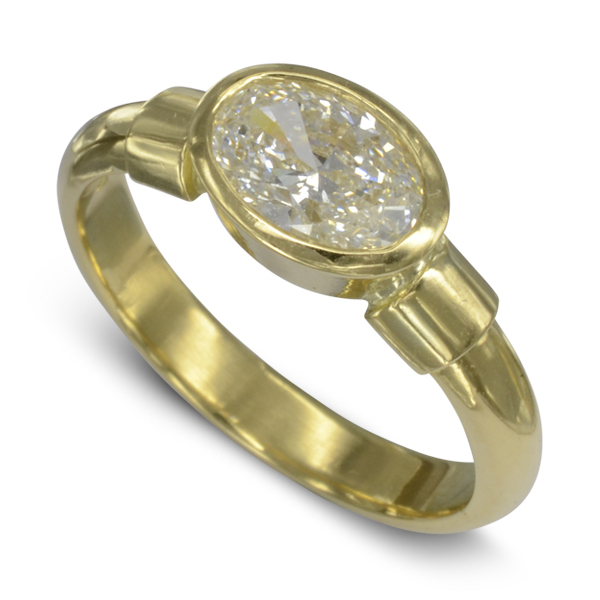 We are a short distance from Brighton, Burgess Hill and Haywards Heath.